It might feel like it’s been forever, but at long last we’re at the tail end of winter and will very soon be welcoming spring with open arms. There’s lots to look forward to in spring – nature, sunshine, flowers in bloom and more. It’s also the perfect time of the year to shake off those winter woollies and get into the garden to plant a whole variety of vegetables. As our seasonal planting guide for Perth shows, there’s really not much you can’t plant in spring! And while we’d love to plant them all, space can be an issue, so we’ve highlighted a few vegetables that’ll get you the most bang for your buck. This nutritional powerhouse is not only good for you, it’s tasty too. 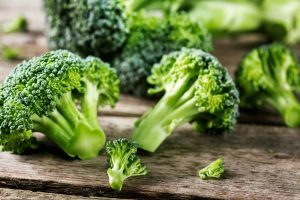 Broccoli contains vitamins A and E, folate, calcium and iron. And, it has a higher vitamin C content than oranges! Talk about an overachiever. It can be had as a side dish, as part of a salad or thrown in with a stir fry. Or have it as Head Chef of Millbrook Winery Guy Jeffreys would, cooked in with a whole bunch of other garden greens, topped off with cream and wine. Start the process of planting broccoli undercover in seed trays and then plant out in four to six weeks. 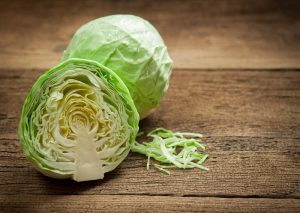 The humble cabbage is a hardy vegetable, able to grow and thrive even in unhospitable climates. Cabbage is well-known for being high in fiber which aids in digestion and it also contains powerful antioxidants. Overcooking cabbage is always a danger though so it’s usually best had lightly sautéed, boiled, stir fired or better yet, simply had raw. Mix it up with some red onion, carrot and coriander to create a crunchy slaw you can top your tacos up with – just like how Josh Catalano of Fish Boss does it! Start the process of planting cabbage undercover in seed trays and then plant out in four to six weeks. 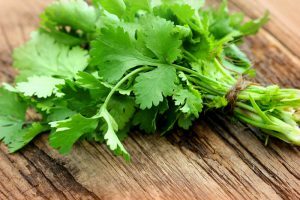 Now we know coriander can be contentious, but love it or hate it, coriander is a mainstay of many a dish. Most often used as a garnish, it can also be used in stocks to add flavour, chutneys, pestos and so much more. Our favourite way to use it however is as a garnish to enhance flavour and add something fresh to a curry. Try it out in Kleenheat Kitchen’s easy chicken curry recipe which will give you all the flavour without all the fuss. Start sowing seeds in September. Ahh garlic! Best not to breathe out too heavy if you’ve had too much of it. Pungent and potent, the garlic needs to be used with care, requiring a deft hand that knows just how much to add to a dish. Too much can throw out the flavour balance but add the right amount and it’ll work in harmony with the rest of the ingredients. 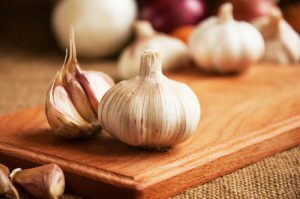 It’s become a culinary staple with majority of recipes asking you to add at least two or three cloves to amp up the flavour. Do as Eva and Debra from My Kitchen Rules do and use it in their family recipe for delicious pork wontons! Start sowing cloves in September.